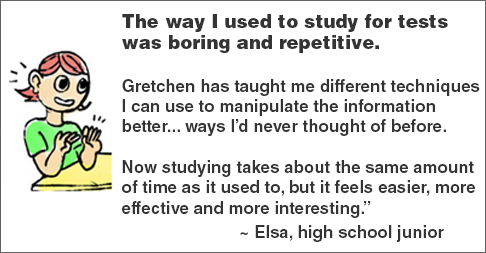 Welcome to the Anti-Boring Approach to Powerful Studying! This is my simple system for helping you get the grades you want and learn more with less stress. I guarantee that if you follow this step-by-step system, you’ll raise your grades, feel more confident at school, get more done in less time, and still have time for friends and fun. The course will take you 6 to 10 hours to complete. You can crank it out in a weekend, or do a module a week for 6 weeks. Either way, you win, as long as you let me be your coach, and apply all my techniques to what you're learning in school right now.